Over 50dB left-right channel separation at 1KHz for critical separation tests. 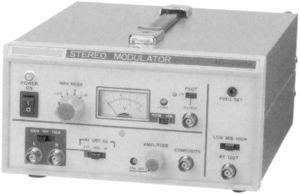 Modulated RF output for simulation of FM broadcast signals used in overall receive testing. Phased condition of the pilot and Subcarrier Signals is of the highest degree.